Franz Hawlata Interview with Bruce Duffie . . . . . The Bavarian-born singer-actor Franz Hawlata [HAHV-lah-tuh] is eager to say that he enjoys experimental stagings. Besides mentioning it in the interview below, the photos show him in various updated productions of his signature roles. His wide-ranging grasp of music comes from having studied musicology, and his visions extend beyond just the roles in his repertoire to a long-range goal of running an opera house! The details of his career so far are included in the biography reproduced at the end of this webpage. After showing us his Daland in The Flying Dutchman of Wagner, Chicago has been fortunate to have had him portray the central characters in two Strauss operas — Baron Ochs in Der Rosenkavalier, which had sets based on the original production, and Barak in Die Frau ohne Schatten. It was in March of 2006, during the run of Rosenkavalier that I had the pleasure of speaking with Hawlata. Hansom and athletic with a very youthful face, his English was very good, but occasionally an odd word or strange turn of phrase would creep into the conversation. Some of those have been smoothed out, but a few have been left in to give the flavor of his speech. He was a jolly fellow and his humor shows through the discussion . . . .
Bruce Duffie: You’re pretty well known these days as Baron Ochs. Do you like being known for one role or would you rather be known for a range of roles? Franz Hawlata: I’d rather be known for a range of roles, which I’ve tried and I’m still trying. Now I’m doing, for example, Hans Sachs, which I discovered is a new key role for me. BD: It’s a huge role! FH: Yeah. I wanted to wait until I’m forty, and now I’ve done it and I’m doing it in Bayreuth. So that’s going to be, hopefully, a new signature role for me. But I love this part [Ochs] and I love Richard Strauss, but I rather want to be known for a wide range of repertoire. BD: So how do you decide which roles you will sing and which roles you will not sing? FH: The trouble in our business is that if you are very good in something, everyone wants to have you for that. And sometimes you just have to regulate that a little bit and just drive it down. The problem is I did five revivals of this piece in Paris and four revivals of it in New York. Now I just choose the places where there are people who are important for me, personally or business-wise, and I just go there and sing it. But actually I want to drive it down as far as I can. The performance on Saturday was my four hundredth performance of this piece, which is a little too much. BD: But you don’t want to retire it? FH: No, but I will be very particular with saying yes to offers. We’re doing a DVD in 2009 with Thielemann, and that might be the last time. BD: And then you say farewell to it? FH: I will say farewell, because that’s a good moment to say farewell. BD: Do you find that DVDs are competing with you in the theater, or is it a good addition to the theatrical performances? FH: Nothing can compete with a live evening in the theater. The sound, the smell and the atmosphere you just can’t re-create. Actually I’m not very fond of DVD and CDs, but for certain things we can hear the history. For example, in the history of Rosenkavalier, since the first performance there was always one group every twenty-five or thirty years who sang it and they went around the world. First it was Hilde Gueden, Ludwig Weber, Marie Reining and Lisa Della Casa; then came Sena Jurinac and then Schwarzkopf, and so. Now we have this group again and we did more than a hundred performances together. Susan Graham and I are the key people, and for most performances, the Marschallin was Renée Fleming. So that is the bunch of people who do it now. And every generation had a recording, which I think is a nice idea to have each period of twenty-five years. That’s more like a collection item than the equivalent of a real theater evening. It’s more just a remembrance or memory, it’s a souvenir or collection item. Therefore, DVDs and CDs are good. BD: Now you have this little group that goes around to many places. Is it more difficult or less difficult when you come to a different production and you have to come in a different door or do a little different staging? FH: Actually, it’s less difficult because what Susan Graham is doing, I know even without turning myself. I don’t have to look at her because we spent more time together than with our actual partners! [Both laugh] I know every single detail she does. She just gives me a little cue what she’s doing tonight, and I know exactly what happens. BD: Then do you fight with the directors when they try to get you to do something different? FH: No, we don’t. We are as free as we can manage to be. When you do a role this often, the effect should be that you are really comfortable in this part; you are very secure and self-confident, and then you can do everything. I did weird modern productions in this piece and I didn’t say anything against it. I just tried to fill the character the way the producer wanted. BD: Do you leave it up to the producer, or do you suggest a few extra ideas? FH: Of course you give ideas. This piece follows me now for many years, maybe twenty times a year. So this is really a piece I understand! There are certain things you think about how the character should be. Or you have certain ideas how the character definitely should not be, and that is, I think, the better way to put it. You have to make that clear to the producer; otherwise I’m pretty open. I’ve played every character out of Ochs, everything possible, I think! BD: From the other roles you are offered, how do you decide, yes you will sing it or no you won’t sing it? BD: So it has to be right for all of those items? BD: You can’t leave one of them out? FH: No, no. The good thing about having a world career is you can really choose it, and that’s what I’m doing now. BD: Do you make sure that you leave enough time for you — off time, non-singing time? FH: You must. I have two small children who just ask for their time. They need Daddy around. I’ve tried different models. This year, I just tried to make one big working block, and then I’m doing one big block more or less free, or close to the family. You can’t get more than two months free in a year because otherwise you are away. You have to work at least ten months a year. But you can choose the places where you can be close to the kids, which for me is Salzburg, Bayreuth, all the Italian houses, Vienna and Munich. That is the corner where I can stay with the family, or I’m in quick range. Munich and Salzburg always gets an additional favorite “yes” from me. BD: Of course. Is there a secret to singing Mozart? FH: Yeah, yeah. Don’t explain! Don’t explain the music; let it flow through you as beautifully as you can. Don’t try to explain anything because that would be explaining the unexplainable. Just be a medium. I think this is the secret for Mozart. Be as free as you can and just let it flow through you. BD: Let Mozart speak through you? FH: Let the music speak through you. Don’t put anything against it or in the way. BD: Is it Mozart going through you, or Da Ponte going through you? FH: In this particular case, it’s a congenial; I think this is the couple of opera. Hofmannsthal and Strauss came pretty close, but the first real combining couple between words and music is Da Ponte and Mozart. They can’t be separated, so if you sing Mozart’s music in the Da Ponte operas, there can’t be any word different than they put it. BD: You sing in the various houses and they’re of different sizes. Do you adjust anything for a small house or a large house? FH: No. Actually what I found out is that the bigger the house, the more you have to watch your technique. Basically there’s only one singing technique, which is the Italian bel canto technique. That is basic for everything, whether you sing Wozzeck or Ochs or Mozart or Verdi or Puccini. And the bigger the house is, the more you have to watch your technique and the more carefully you have to sing because the voice has to project. Projection is just what we learn, what our technique is. It’s not about body mass or something else, it’s just the projection, the technical value of the sound you make. So in big houses, you have to be a little more careful. That’s the only difference. Otherwise when I sing in Bayreuth, at the Met, at the Vienna Volksopera or anywhere, I sing the same, technically. BD: Do you take advantage of special acoustics of the house? FH: You do. For example, here in Chicago you can sing as soft as you like. You wouldn’t believe! It’s a wonderful projection, especially with very soft notes. We found that out. For example, if you have colleagues like Susan Graham, she just sits out in the house at rehearsal and says, “Wow, that sounded really good! Do that more.” And I do the same with her because you can’t hear yourself. That is the mystery about singing! If we always could hear ourselves, that would be easier. You need colleagues or conductors or people you trust who just sit out there and say how far you come down or how far you have to go up. BD: I would think the conductor would be in the worst place to hear the balance. FH: That’s the problem. He has the worst place because he’s so close to the orchestra. Most conductors have an assistant who just walks around in the house and checks the balance. But Chicago has a great acoustic for the size of the house, I have to say. BD: We’re very fortunate, and we know this about our house. Maybe that’ll encourage you to return? FH: Yes, I will. We already have one contract which is already signed, which is in September ’07. I’m doing a new production of Frau ohne Schatten here. BD: You will sing Barak? FH: Barak, yeah, with a very good cast, an unbelievable, world-class cast. So that might be thrilling. BD: We look forward to that! FH: Yeah, so do I! Some Strauss again! And then we’re talking about various things which I am not allowed to talk about. BD: Do you like being booked two, three, four years in advance? FH: I’ll tell you when I signed this contract. We are now in the year of 2006; I signed this contract in ’97. FH: Nine years ago, which is scary in a way because I didn’t know whether I’d be alive or still want to sing. But with American houses, Chicago is special and is very good in far advanced booking. If they really want someone hard, they make a decision. They book, and then it takes place exactly at the time they want it. BD: So we’re very organized. FH: Yeah. I have to say it’s maybe the best-organized opera house in the world, because there is a direct line between [General Director] Bill Mason and everyone. He is around and you can talk to him. It’s a very open atmosphere. Everyone can say what he wants to, so it’s very easy; decisions are very quick. And at some houses in Europe, and also in America, it’s very, very different. BD: Well, I’m glad you’re happy about that. FH: Oh yes, I am. BD: You sing some roles which seem to be more baritone than bass, such as Papageno, or even Wozzeck. They’re a little higher. FH: Yeah. I have an impresario who is very, very good, who used to be Herman Prey’s private secretary. I’m so lucky that I met him! He used to be the chief of Philips Classic Recording Company and he really knows about voices; he just hears what a voice can do and cannot do. We’ve worked together since ’92, and I always took his advice. When he heard me singing the low bass repertoire, he always said, “There is something in your high notes which I think will lead to the higher parts.” And now we are just very careful in choosing the higher things. BD: Just a few things once in a while? FH: Every once in a while. The problem is I have contracts for Osmin and Ochs five and six years ahead. So I have to be really careful when I’m doing the new things, or when I’m doing a Wotan. If I do a Wotan, for example, I can’t do anything low before for four weeks, and at least two months afterwards because the voice is so pushed up. Then you have a problem with singing the low stuff. I now try to do Wozzeck and then Ochs, and they work perfectly well because now I’m pretty familiar with how these higher parts go. We slowly extend the repertoire and slowly cut the repertoire on the bottom parts. I will do my last Osmin in Salzburg this year and that’s it. I’ve done nearly two hundred Osmins, so that’s going away. Younger people or real full black basses should do that. Then in 2009-10 I will stop Ochs. So for every role we cut in the bottom, we just add one in the high repertoire. BD: So you’re slowly going up? FH: Yeah. Every healthy voice does that. BD: [Slyly] Eventually you’ll sing tenor? FH: [With a hearty laugh] No, no, no. I would never sing tenor because the characters are so boring! BD: Don’t you want to get the girl??? BD: Is there any role that you sing which is perhaps a little too close to the real Franz? FH: Yeah, there is one, and I have to say it’s the role I’m singing here in Chicago next — Barak. It is such an unbelievable part! The end of Barak really goes incredibly close to my heart, because I can understand — not that I have a bad wife — but I can understand this man so much; the feelings and this normal, wonderful, down-to-earth kind of way of thinking. That is very close to me, and the same is true of Hans Sachs, by the way. Hans Sachs is a man full of fantasy and a kind of naughtiness, but his thinking is very down-to-earth. BD: If there was no Walther von Stolzing, would he have been happy with Eva? FH: Yeah. Not only he would be happy with Eva, I think Eva would be much happier with him than with Walther von Stolzing. Look at how simple Wagner described Walther and how complex he described Hans Sachs; also how much time he uses to describe the character of Hans Sachs and how complex his music is. On the other hand, Walther is always singing in E flat major and it’s always high notes. That’s the tenor. So I think the sympathy is very strongly on the side of Hans Sachs. In the third act Sachs says, “You know, I love you, but I don’t want to end up like King Marke.” It’s just so wonderful! It’s so human and he loves her so much! And the other way around, too. But like the Marschallin says, if you love someone, then you have to let him go. BD: So these are real people? FH: Yeah. This is what I’m so interested in! 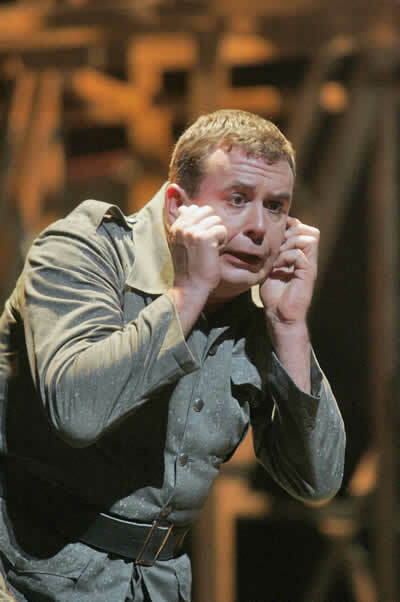 Wozzeck, for example, is a real man; he’s not crazy at all! I’m fighting every director when I do it, that he is crazy from the beginning. He’s not! He’s a very normal man and just his surroundings make him crazy. BD: So everyone else is crazy but he is all right? FH: That’s it exactly! And the unfaithfulness of Marie — she’s driven into that, too. She’s not unfaithful by nature. She’s driven into poverty through all the social surroundings. That is the real tragedy about this piece. If he’s crazy from the beginning, it’s not a real tragedy. It’s a human tragedy if he’s not. BD: Is it right that he does die in the end? FH: He must die in the end. It’s like every genius masterpiece. 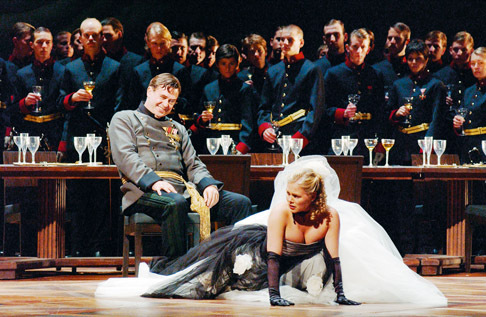 I think the death of Wozzeck is very similar to the death of Don Giovanni — a symbol dies. It’s not a human being; a symbol dies and the world is poorer without Don Giovanni and without Wozzeck. I think Wozzeck is a thinking man, a down-to-earth thinking man, a normal thinking man in a crazy society. This piece is really modern and it hits the target! Like Don Giovanni — he’s the dream of every woman and when he’s dead, there’s a big, big loss. BD: I guess we all aspire to be a little bit Don Giovanni! FH: Oh, yeah! Who wouldn’t? I’d like to be like Wozzeck. I don’t want to kill my wife, but this way of thinking, this creative, wonderful connection to nature; the things he can hear in nature or see in nature no one else can see. It’s misinterpreted as being crazy. I think he’s like a visionary, someone who sees more than other people. BD: We’re kind of dancing around it, so let me ask the real easy question — what is the purpose of opera? FH: Oh, wow! You want an easy answer to that? [Both laugh] It’s an easy question, but a hard answer. It’s always good if you say what’s not the purpose of opera. I think it’s not a museum. I think it’s not playing old pieces the same way all over again just to select people. That is not enough. Part of it is good, part of singer stardom is very good, it’s normal. But if we don’t watch out, we end like the classical ballet which is seen by a couple of experts, and the widespread art of opera will lose their viewers. That’s the problem. We have to be, I think, modern, of our time with the people in our style. That doesn’t mean we have to do all modern productions. The thing is we need young, fresh, modern actors and singers, and they have to behave like people of today. And we have to get this medium — opera — as close to people as we possibly can, which is not done by Three Tenor concerts, and not done by crossovers and singing Cole Porter songs, no. It is done by finding a language which everyone is able to speak. BD: Are the works that you sing for everyone? FH: Yeah, they are potentially for everyone. If you go to the Vienna State Opera, it’s just amazing! The first ten rows are all Japanese people. You just ask yourself what the heck are you doing here? You don’t understand. They see Meistersinger, Parsifal, Wozzeck, Die Tote Stadt — all these complex, really difficult, long pieces, and they love it! They might sleep an hour and then they wake up, but they love it! So it is for everyone. I’m sure it is for everyone. Opera is the combination of music and poetry — which is the wonderful thing about opera — but I think this combination is so modern and has so much potential, that it will always survive. We just have to find the language of our time. We shouldn’t go back or reheat — re-microwave — opera. We just have to cook it new every day. BD: Is there some way to get more of the rock audience into the opera house? FH: There is a way, I think. For example, one way is new producers. The crossover of film and opera is very important, from my point of view. It should be done much more in the States. All the good Hollywood producers should really get interested in opera because film and movies is such a big thing in the States. If you are a clever opera manager, you use this popularity of people and just get them — like they had in Los Angeles where George Lucas was supposed to do the Ring, which is horribly difficult because his animations are so expensive! So they just postpone it and postpone it and try to find money for it. But this is a great idea! Or Steven Spielberg, or Jim Jarmusch, or whoever! Quentin Tarantino would be fantastic for opera, fantastic! BD: Suppose they get some of these things on film. How will that then add to, or detract from the live performance after that? FH: No, no. You don’t have to get it on film. You have to get the names in the big opera houses. BD: Oh, I see, get them to produce it live! FH: Get them to produce it live; that is much more interesting. That’s what happens in Europe a lot, now. In Paris, for example, they just did a Don Giovanni with Michael Haneke, who is one of our most inventive and creative filmmakers in Europe. They tried in Bayreuth with Lars von Trier, who then just decided not to do it; but the idea is to get these people who are very popular with the cinema audience into the big opera houses and attract young people who know their movies. That’s one good idea, I think. BD: Perhaps it is good, that they aren’t steeped in this tradition; they bring their new ideas. FH: That is exactly what we need! That is the good double consequence. First of all, people go to the movies. They know Quentin Tarantino; they know Pulp Fiction; they know Jurassic Park. There was a big discussion whether Steven Spielberg is doing the Magic Flute in Salzburg, which is a fantastic idea by Gerard Mortier. It didn’t work out because he didn’t have time, but this is the idea. People think, “Oh, Spielberg is doing opera! I have to see that!” That’s one effect, and the other effect is that Spielberg might have not seen an opera before — or this opera before — so he just does it with his film language and with his new ideas. I call it the serious crossover; not the cheap, popular crossover, but the serious crossover. In this country you have such amazing lot of good filmmakers. This is the country of film, and every great director was in the States, or lives in the States, or has studied in the States. So there is a huge potential! BD: So you want to tap into this? FH: Yeah, I would love to. I would love to. BD: You don’t have to be specific, but are there new pieces being written that will take their place alongside Mozart and Verdi and Wagner and Strauss and Berg? FH: This is a big problem you’re talking about. Opera is so expensive nowadays; it always was, but the risk of taking on a new piece and just selling it five times is, for most of the people, too big and they just don’t take it. That’s why contemporary opera is dying. Also, because singers are lazy, they just refuse to learn this very difficult music, modern music. This has to be changed. I would love to sing contemporary opera, but there are no pieces. BD: If you met with a composer, what advice would you have for him or her? FH: A very simple one. I met Elliot Goldenthal — he wrote the music for the Alien movies — a very good film composer. He actually wrote a musical and asked that I should play the main part. He asked me the same question and I said, “Just sing along when you write. Sing along and write with your ears, not with your brain. If you write for a singer, write with your vocal chords. Try to sing it. Stand up and try to sing what you just wrote.” Then you get this feeling for melody — like Verdi had or Wagner or Mozart or Strauss. I’m sure Strauss hummed his way along the whole time when he wrote because every line is so singable and so vocal-oriented! We have a couple of young composers in Germany who are doing exactly this now, and the system has to be very careful in not killing them, but helping them and not being too harsh to them. We must create an atmosphere of experimentation, of the joy of trying out things. BD: Are you optimistic at all about the future of composition? BD: But we, the public, want each new piece to be a masterstroke. FH: When you look at the time of Mozart, how many operas were written, and how many were masterstrokes? BD: Of course, but we’ve lost that today. We expect each one to be a hit. FH: That is what I think with the experimental joy. When they saw a Salieri piece in Vienna and it was bad, they booed or whistled and said it was bad. But then they went to see Entführung or Così fan Tutte and they said, “Oh, my God! That is really good!” So they went again. Or, if it fell through at the beginning, people said, “We might have been too harsh. Let’s do it again. I want to hear Così fan Tutte again whether it was really bad or good.” It’s the everyday interchange between the music and the pubic, and you have to get people close to culture again — especially in this country. In Europe, it is exactly the same but not as much. TV and the easy stuff has taken over, and we just have to be strong enough to get people back to the stuff that is a little harder. BD: So you expect more creativity and interest on the part of the audience? FH: Yes I do, but it is our job to educate them. It just doesn’t fall from heaven; we have to do something for it. That’s why a little more risky, a little more naughty atmosphere would be good. Not so serious, because it’s all so serious. There is a wide gulf between the rap culture and opera. It’s way too far apart! We have to try to get this together again. BD: We need a rap opera? FH: Why not? Why not? Go to Quentin Tarantino and say, “Let’s have a big opera project. What would you think? What would be interesting for you — like a script, like a film script? What would you think about doing something.” Or think about someone who writes a script for you, for the opera, and then find a composer. Find someone out of this fantastic gang of film composers! There’s Goldenthal; there’s so many great composers! But it’s just to do these projects. BD: So they should come from the films, rather than from the symphony? FH: Yeah. I would say so. Just try to get it together again; try to integrate. 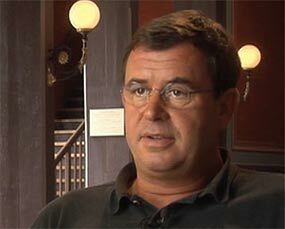 There’s one wonderful man in Europe who is maybe the best opera manager in the world now: Gerard Mortier who just took over the Paris Opera. He was in Salzburg a long time and is trying exactly that. He’s trying to get these worlds together again, which is hard work and you must be very convincing. But he did it; he found young people from the Catalan deserts who were doing suburban theater. He put them on the Salzburg Festival stage and said, “You are good. You do that. You find a new language.” And they did; they found it, and now they are everywhere. But that’s what we need — more conquering; a discovery spirit, a conquering spirit. BD: More experiments? More vision? FH: More vision, yeah. The problem is the system, the financial administrative system. The fact that the state just doesn’t do anything anymore — or nearly nothing — for the arts is understandable but also very dangerous. I think it should be a mixture. It should be half-and-half or thirty-seventy, but there should be a sign of taking part in an everyday art policy, a sign that the state is interested in this. At least one production a year should be state-funded, should be new and should be experimental and a little bit off the track. BD: Even if it falls on its face? FH: Let it fall! As we said, how many pieces fell on their face during Mozart’s time or Strauss’ time? Look at Schreker. He wrote twelve operas and none of them was good, but they were performed anyway. BD: Should hear them once in a lifetime, perhaps? FH: Yeah, yeah; put them to discussion, you know. Back then, some people said, “Oh, my God, is that bad!” Then another one said, “No, it’s good!” So there you have a discussion and there opera and art lives. FH: Yeah, or it’s over the quality of one single singer, which is not interesting. Of course it’s interesting, but much more interesting would be a new piece or a new producer, or a real new, cracking new production! BD: I hope you get offered some of these things. FH: I do, I get a lot. I choose a lot of my work after seeing how much creative potential is there. For example, I just did Wozzeck in Barcelona with a completely mad producer! He’s famous all over Europe for his trashy productions, and I thought, “I’m interested in this guy because I want to see whether he tries it with me, too.” At first I thought it was too much trash, but I accepted it and we had a fantastic time of discussion, and working. He was very much listening to me! We did a wonderful, sensational, great production of Wozzeck, which played in an oil refinery which was absolutely close to us. No one left this opera without a tear in his eyes. FH: That’s what we wanted. BD: I’m glad that you put your weight behind that production. FH: Everyone has to start with himself and then talk cleverly about the others. BD: You are in your early forties. Are you at the point in your career you want to be, at this age? FH: Oh, yeah! I was so lucky! Artistically I wouldn’t be anywhere else than where I am. I’m very happy in this; I was everywhere I wanted to be, and now I’m in the right position. That’s the good thing about a career, when you are in the position to decide yourself what you want to do. You don’t have to pay attention to money; you don’t have to be careful to please someone. Of course I have friends and I have opera managers who are very loyal to me, and of course I sing there more than somewhere else. That is clear, but this is a very light obligation; it’s not a real heavy burden. Otherwise, I can just really choose what I want to do, which is fabulous! BD: So you please your own artistic vision? FH: Yes, I do. And I pace my own life, and to bring these two things together is not very easy. I have artistic ideas and visions, but I also have a family and two kids who go to school and can’t come with me. So I have to please them and my artistry, but somehow, until now, it worked. I hope it goes on like this. BD: Maybe twenty or thirty years from now, will you do some directing? FH: No, I don’t think I can. I can’t do that. I’m not a visual type. I admire great producers who have this broad vision of a stage, and the geometric view of what looks good and what tells you something on stage; which geometry between the characters tells you something. I don’t have that. More conducting, maybe, or what I would be really be interested in would be running an opera house, one of the big ones. BD: Be a Music Director? FH: No, a General Manager! I would like to put all this into a reality, what I just talked very cleverly about; to convince people how I think things should be done. Or to put teams together — this singer is good with this singer. Some singers are not good with each other because they have different ideas. You can’t just put any singer with any singer. That doesn’t work. You need to know the singers and you need to know how the interaction is between them. BD: Vocal or temperamental, or both? FH: Both! For example, my ideal stage partner — and I say this very often — is Susan Graham. She’s got the same spontaneity as me, the same joy, the same earthy kind of sense of humor which is just perfect! The chemistry between us is just perfect. With some other singer as Octavian, for example, we can play together because I’m a professional, but I can’t achieve the same result. BD: So you do the best you can? FH: Of course I do, always. But first it’s the manager who puts the team together. Some conductor can’t work with some producer; some singer can’t work with this producer. That is the interesting thing, to put the teams together. BD: I hope that you’re always involved, or mostly involved, with good teams. FH: I hope so. Yeah, so far I was pretty lucky. BD: Do you sing mostly opera, or do you also do a few concerts? FH: I do more and more half and half. I’ve finally sung my first Bach again. After something like twenty years with the opera singer brand, now I’ve sung Matthew Passion with Mazur, and it was just a sheer joy! I’m doing this much more, now. I’m doing Elijahs and Creations. BD: Is it nice to get back to pure music without the stage trappings? FH: Yeah, absolutely! And it’s very good for you, too, because there is no tricking around. You just have to sing and sing and nothing else. Doing Ochs, I can kind of play a little bit. I don’t have to sing everything as clearly as it has to be. But you can’t do that in concert and in recital. I’m very, very, very keen on recitals. I love to do recitals, so that’s what I’m doing — two in Europe. So it is maybe eighty-twenty or seventy-thirty; seventy opera, thirty concert. BD: I wish you lots of continued success, and we look forward to you coming back to Chicago! FH: Thank you. Thank you. Franz Hawlata was born in 1963 in the Bavarian town of Eichstätt where he began his musical training. He completed his studies at the Musikhochschule in Munich under the guidance of Ernst Häfliger, Hans Hotter and Erik Werba and by the late 80s had won several competitions and made his professional debut at Munich’s Gärtnerplatztheater. His international career began shortly thereafter with engagements in Lyon, San Francisco and Amsterdam. In the 1993/94 season Franz Hawlata sang Baron Ochs in Der Rosenkavalier with Welsh National Opera, a production which launched him onto the next stage of his career and a role which became one of his great calling cards of the next decade. Franz sang this role for his debut at the Metropolitan Opera (1994/95) as well as at the Vienna State Opera, l’Opera National de Paris, Covent Garden, the Salzburg Festival, Bayerische Staatsoper Munich, San Francisco Opera, and with both the Met and the Vienna State Opera in Japan. Since the early 90s, Franz Hawlata has enjoyed a close relationship with the Staatsoper in Vienna where he has now sung over 200 performances including Baron Ochs, Sarastro, Rocco, Jokanaan, Kaspar, Leporello, Figaro, Wozzeck, Orest, Papageno and Daland. 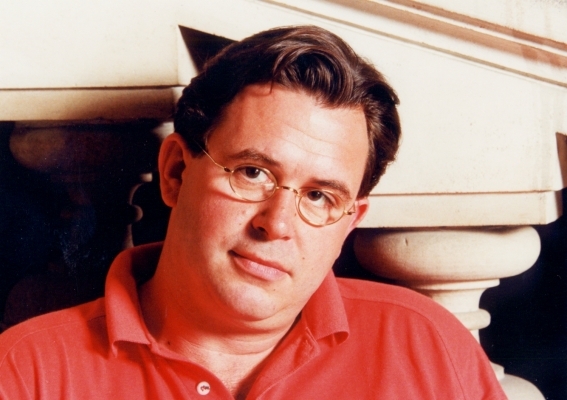 Franz Hawlata sang his first Hans Sachs (Die Meistersinger) with Zubin Mehta at the Maggio Musicale in Florence in the 2003/04 season and his first Ring (as Wotan) at the Staatstheater Meiningen in 2005/06 season. 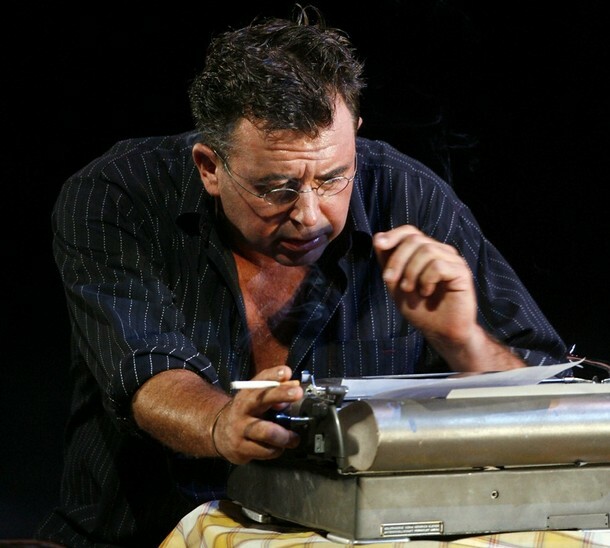 Over the past seasons, Franz Hawlata has made many major débuts: at the Paris Bastille (Mahagonny), Covent Garden (Leporello), Salzburg Festival (Osmin), Paris Chatelet (Rossignol), Liceu Barcelona (Wozzeck) and Lyric Opera of Chicago (Daland). Return productions followed: at the Met (Rigoletto), Bastille (Rusalka, Wozzeck, Capriccio), Covent Garden (Rusalka), Lyric Opera of Chicago (Der Rosenkavalier) and the Salzburg Festival (Così fan tutte, Don Giovanni). Major appearances in the 2006/07 season include his first Tristan in Brussels, Der Rosenkavalier in Paris, Monte Carlo and Berlin, Rusalka in Torino and Wozzeck in San Diego. This summer marks Franz Hawlata’s debut at the Bayreuth Festival as Hans Sachs in the new production of Die Meistersinger. 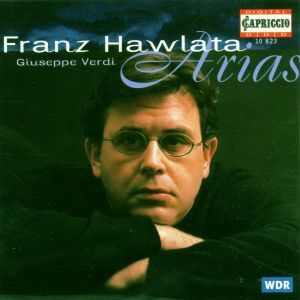 Franz Hawlata is increasingly in demand as a concert singer and his discography includes: Rocco/Leonore (with Gardiner on DG Archiv); Water Spirit/Rusalka (with Mackerras on Decca); Franz Schmidt’s Buch mit sieben Siegeln (with Harnoncourt on Teldec-Warner); Loewe’s Three Wishes, Spohr’s Faust; Nicolai’s Merry Wives of Windsor and Marschner’s Vampyr as well as solo recordings of German opera arias, an all-Verdi programme as well as Lieder by Carl Loewe (all on Capriccio). This interview was recorded in Chicago on March 9, 2006. The transcription was made in 2008 and posted on this website in 2009 for eventual publication in The Opera Journal.